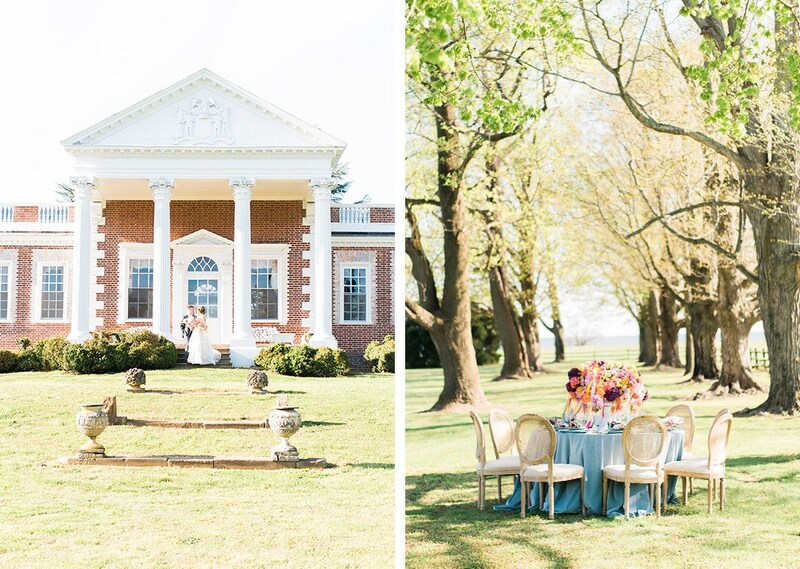 Usually when we think of al fresco dining it’s on a terrace or at a patio, rarely are we lucky enough to be set up at a place like Whitehall, a waterfront wedding venue in Annapolis, MD. Everywhere we looked we were happily surrounded by vibrant greenery and beautiful architecture. 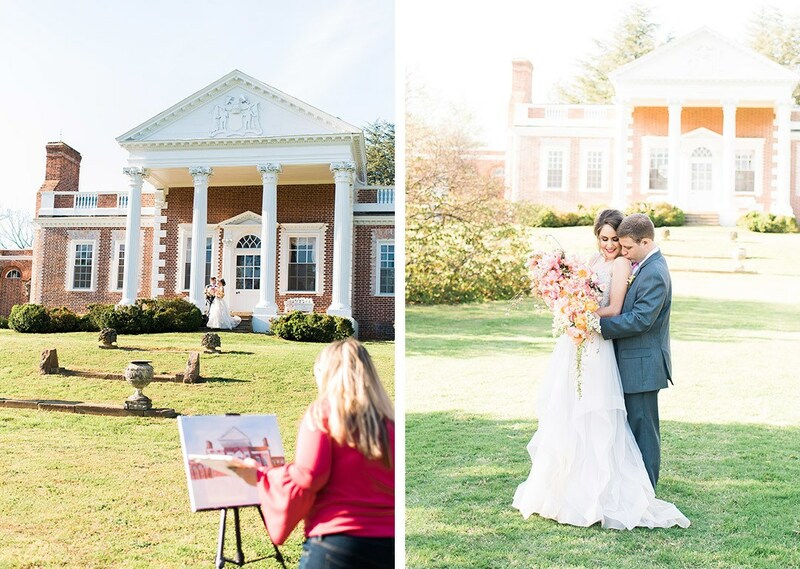 The setting was so nice that Brittany Branson captured it in a beautiful live watercolor painting! 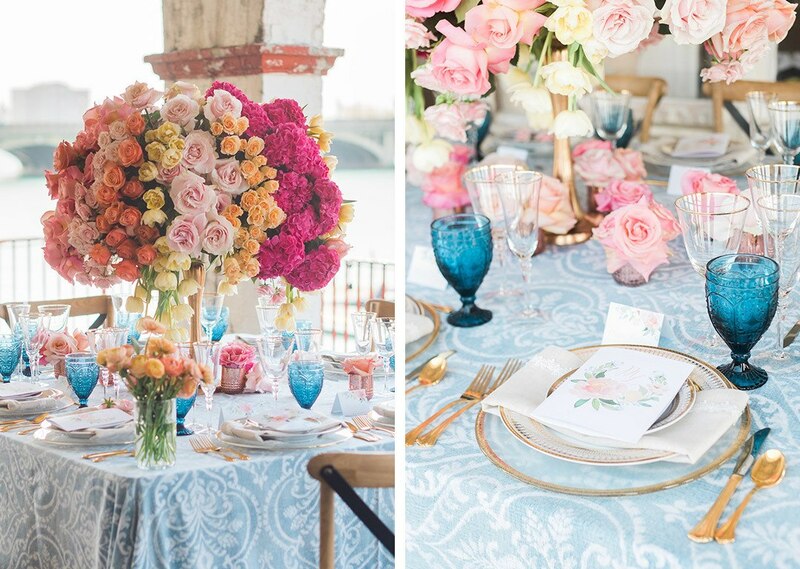 We’re in love with the range of colors on this one! 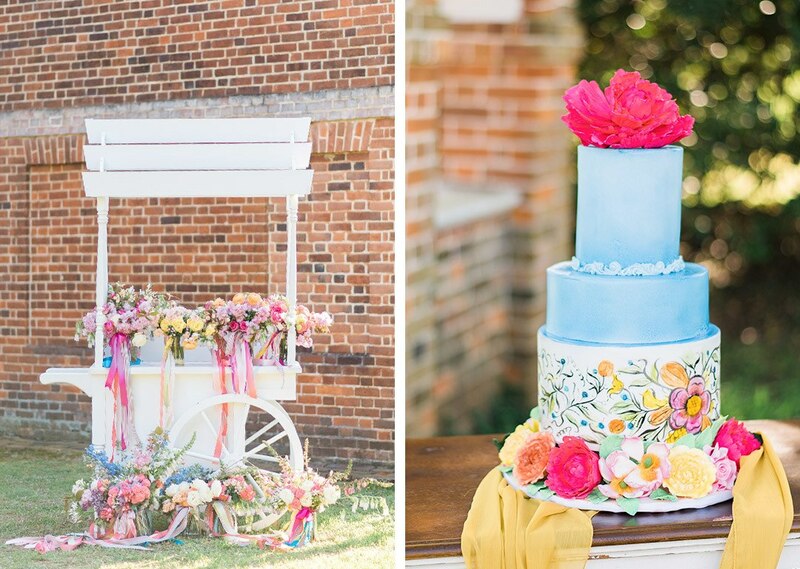 From the cake, from Angyono Cakes, to the invitation suite, from By Brittany Branson, everything was decked out in brightly colored hues. 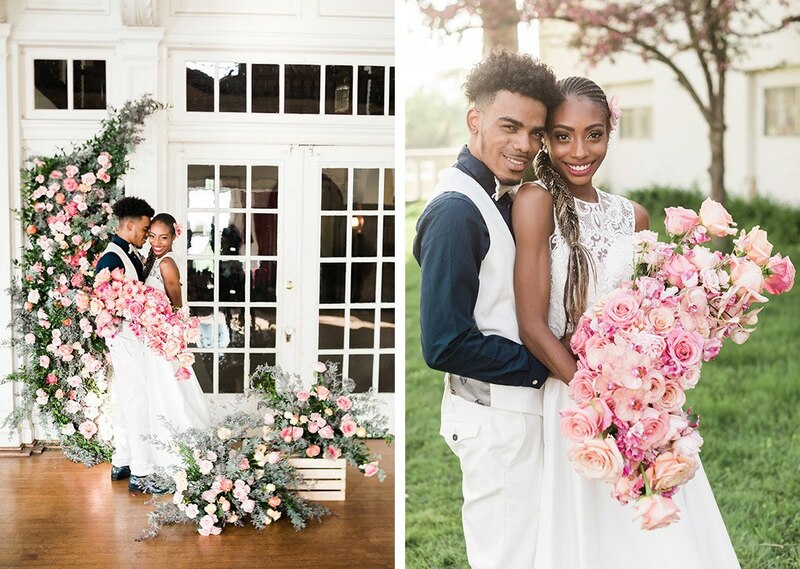 The color palette was really set by the incredible arrangement of flowers, from Intrigue Designs. 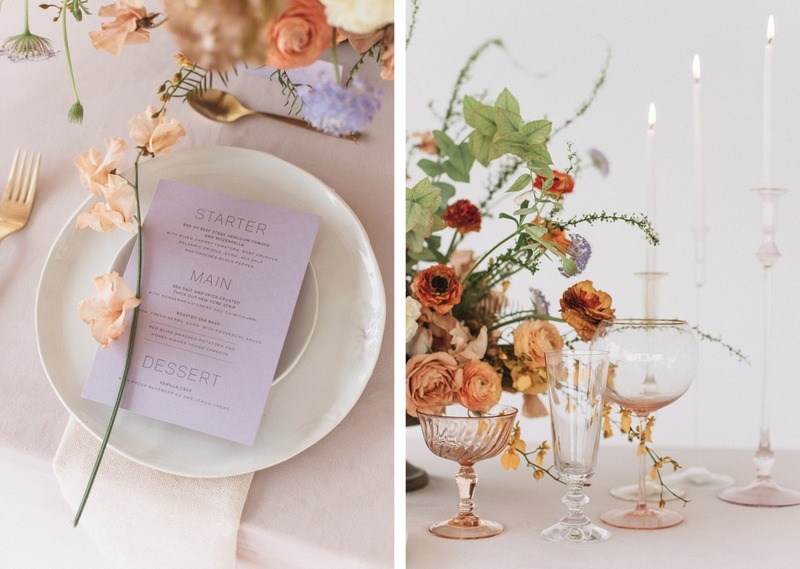 The florals ranged from a deep burgundy to a blush pink with an array of oranges and yellows in between. 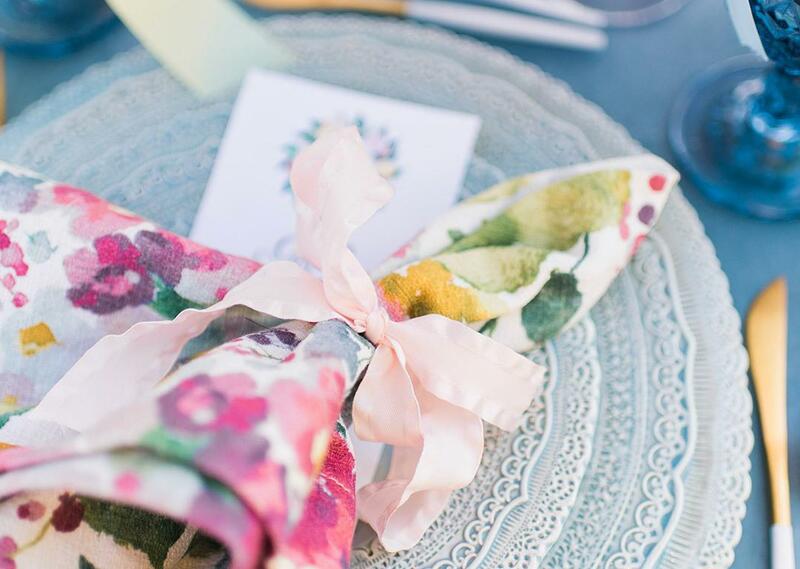 And the ribbons tied off of the arrangement? 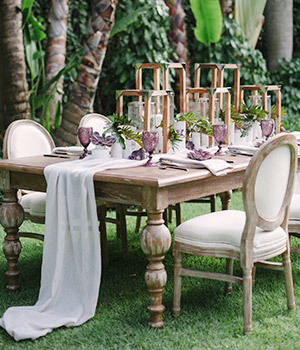 A perfect touch for this breezy outdoor design! 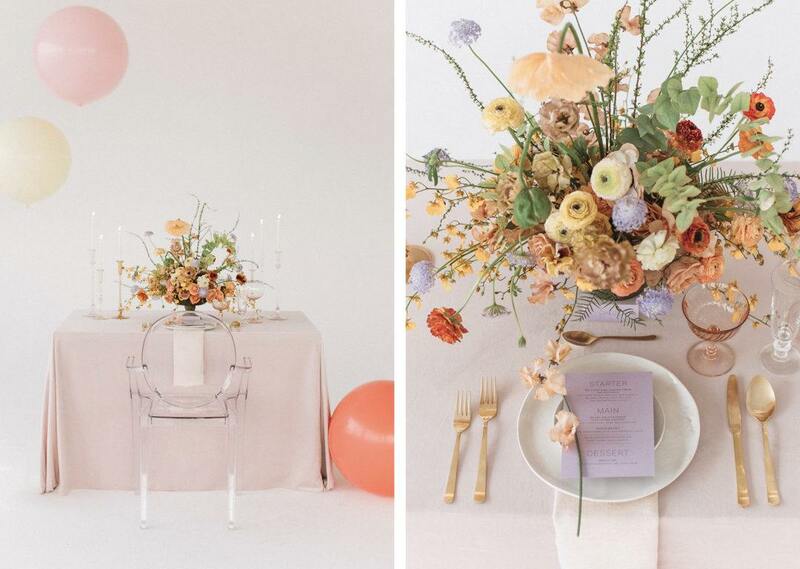 Heather Benge Events made sure not one single color of the rainbow was forgotten! 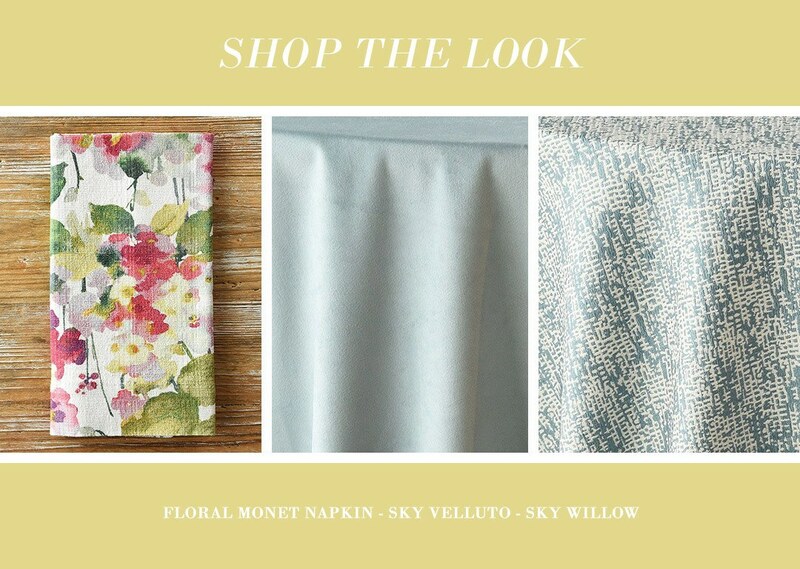 She brought in beautiful blues with our Sky Velluto linen, which set the base for this design. 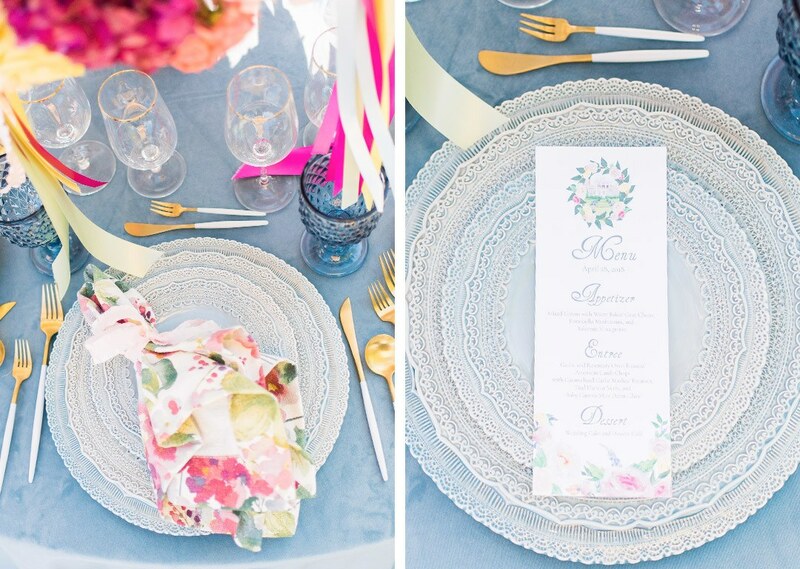 Paired with ornate flatware and blue-tinged glassware, from White Glove Rentals, it came together like a dream! 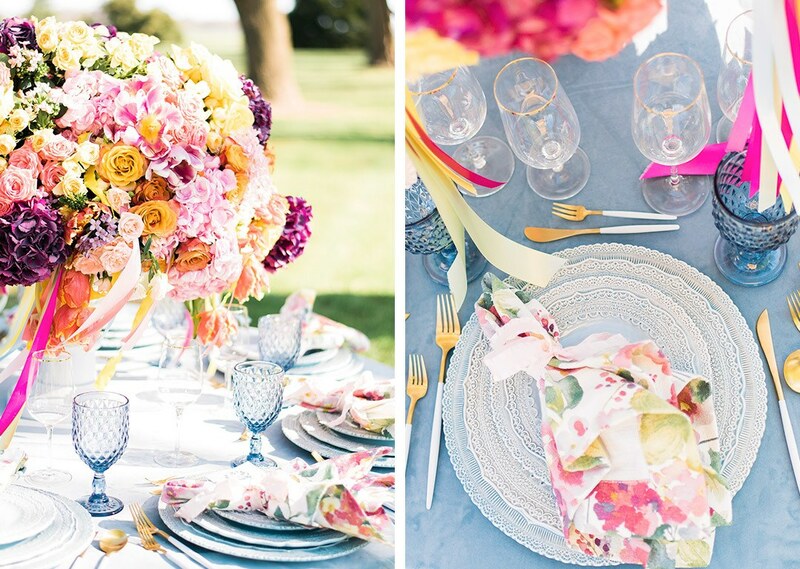 What do you think, would you go brightly colored for your wedding? You know we certainly love it, let us know what you think! 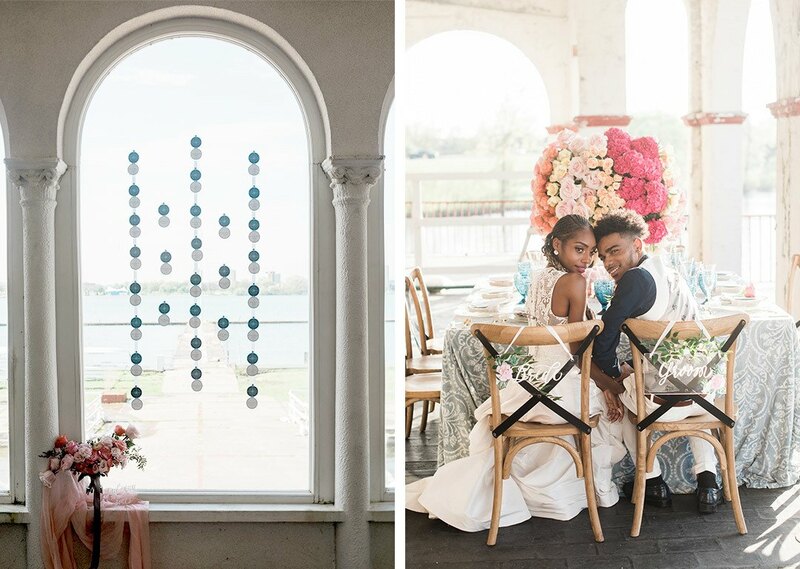 Who could ask for a more beautiful location that the Belle Isle Boat Club? With its original details (just look at those moldings!) 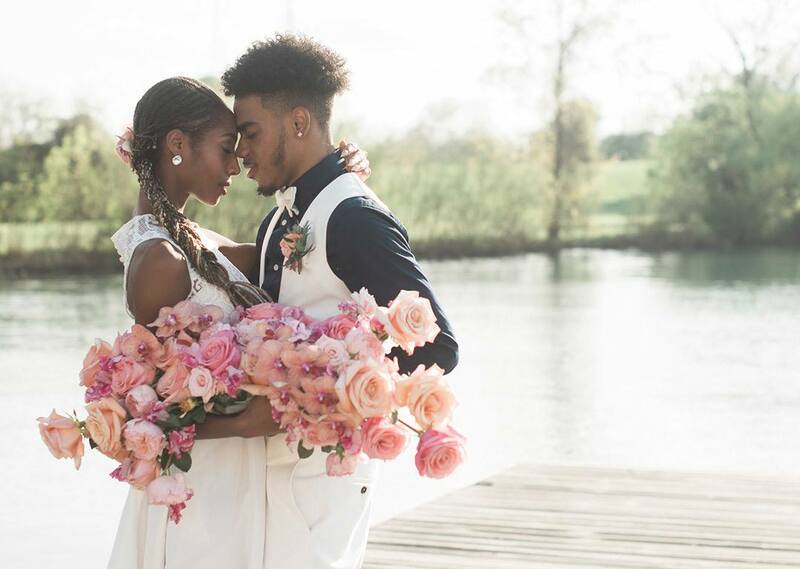 and patio with a water view, it might literally be the perfect place for a wedding. And those sun-drenched interiors really set the perfect scene for a lounge area. 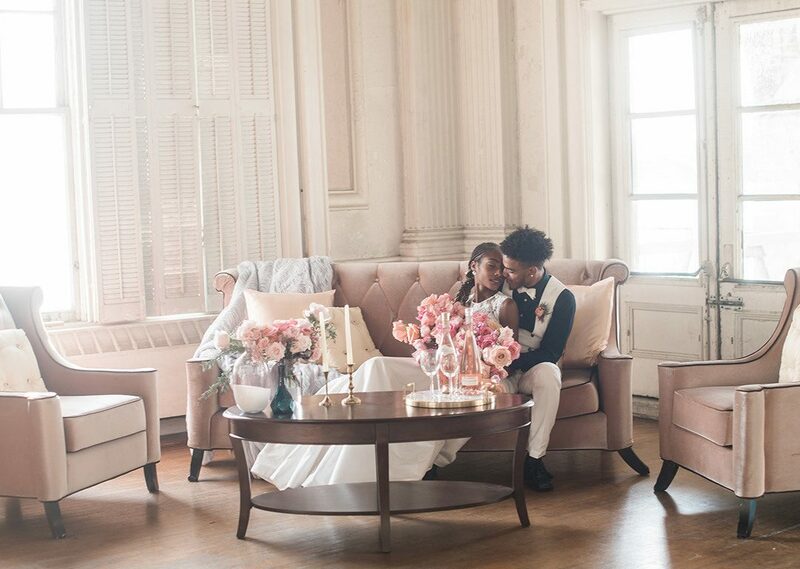 Especially if said lounge area is made up of tufted pink velvet pieces from Event Theory. 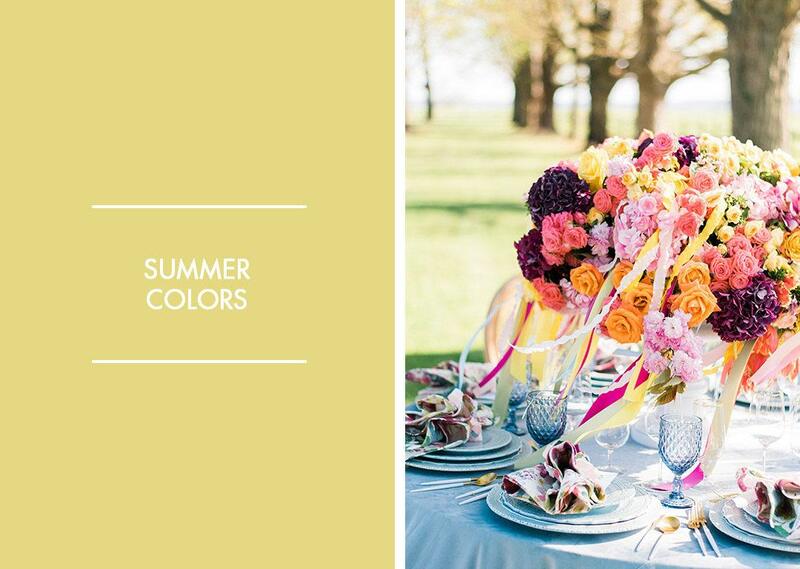 Let’s pop back outside to the patio, because why dine indoors when you could be outside? 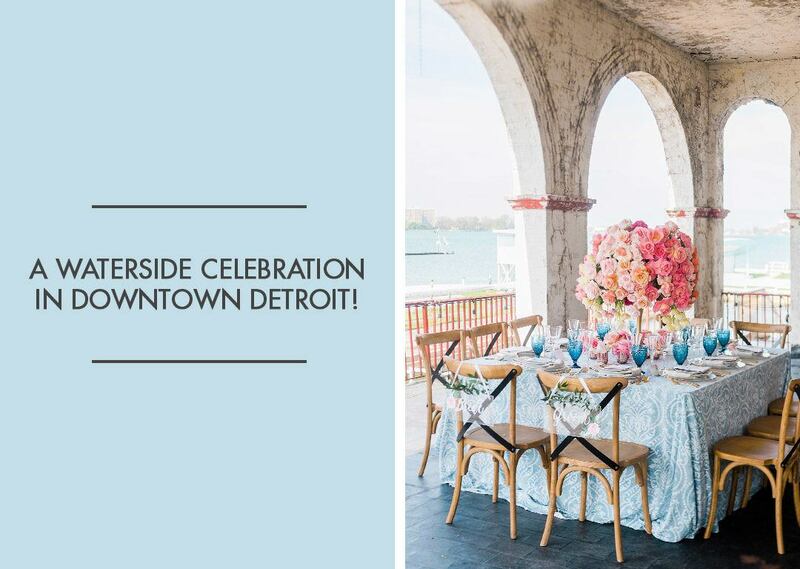 With views of the Detroit river and right onto downtown, this really has a great vantage point. 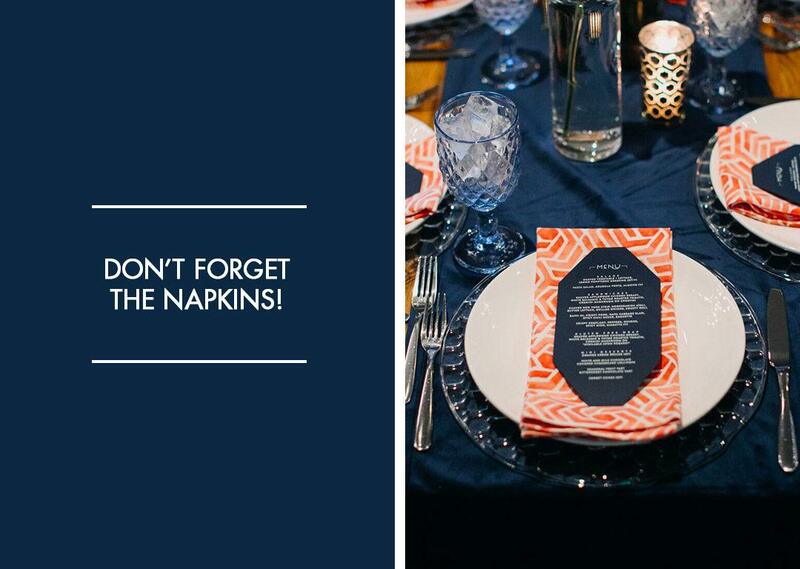 Heather Benge Events set the table with our Chambray Dalusio linen, bringing in the bright blue skies to the tabletop. 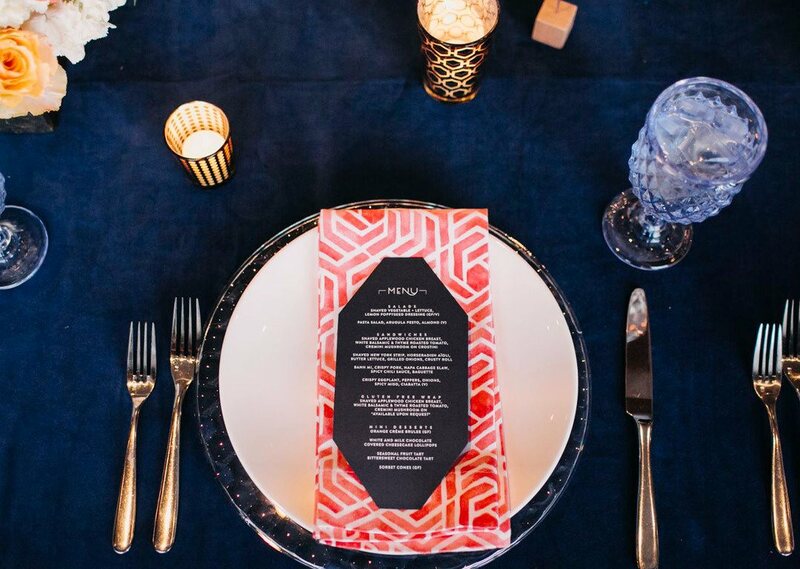 We love how the pattern is both ikat-inspired and has a Baroque feel to it – blending old and new, much like the venue itself. 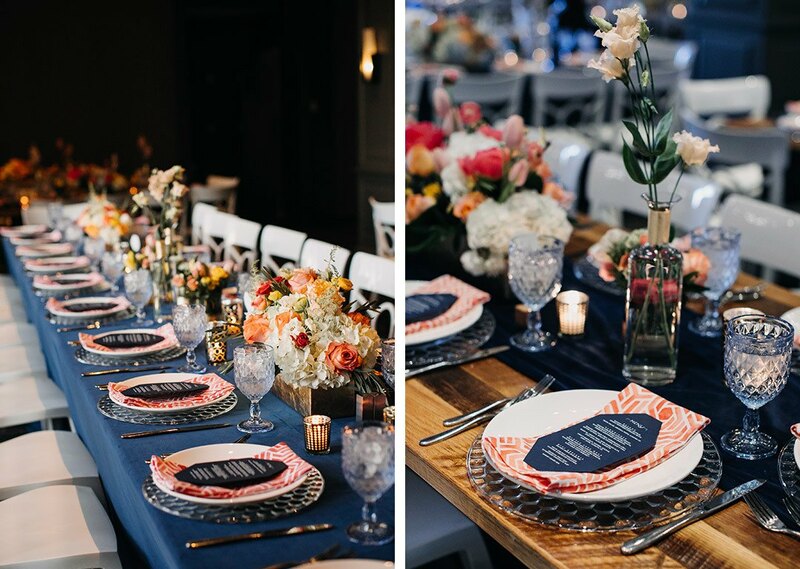 The tabletop decor, including our Flax Diana Lace Napkins, was kept subtle with coordinating blue glassware and traditional flatware, really giving the floral arrangement from Intrigue Designs space to bloom! 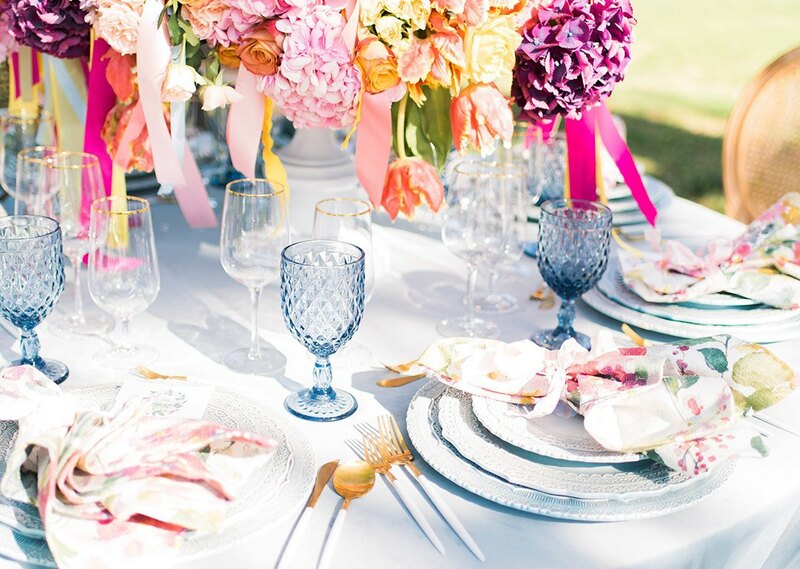 We love the spectrum of pink hues, from light blush to bold fuchsia, that brought this table to life. 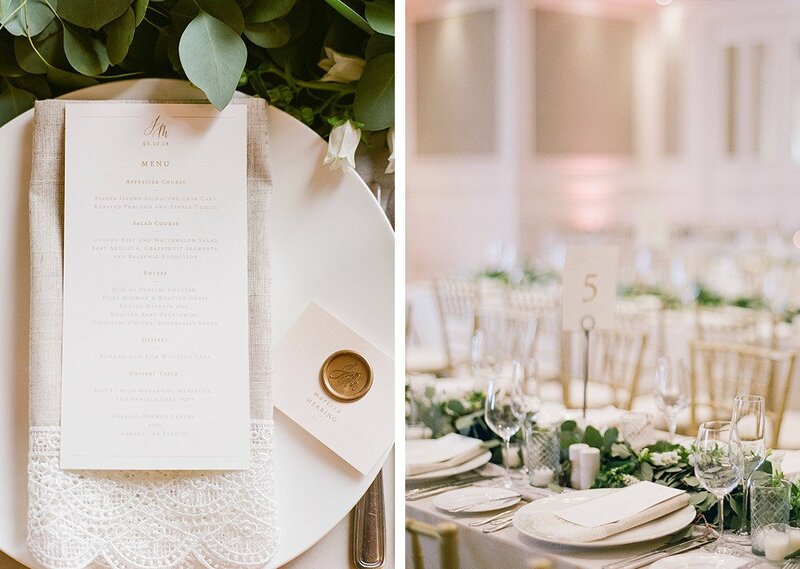 And all of the details tied in just beautifully! 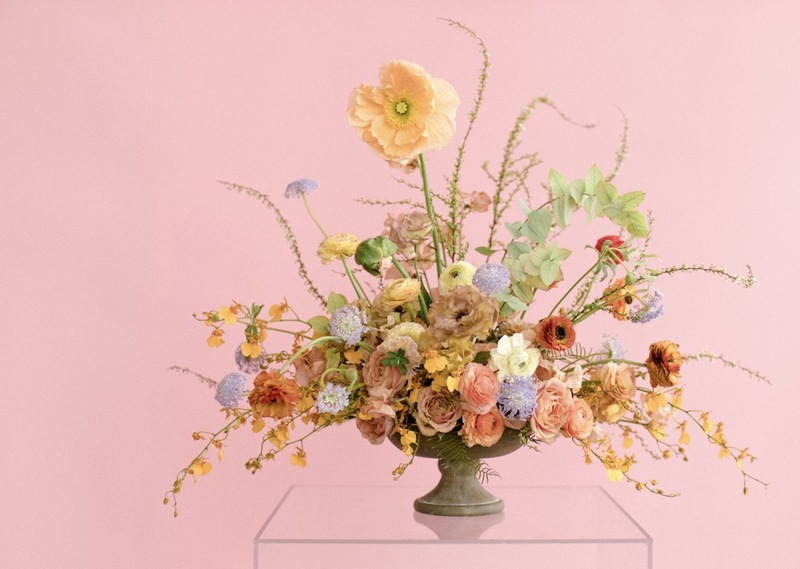 Our favorite piece? That delicious cake from The Dulce Experience. 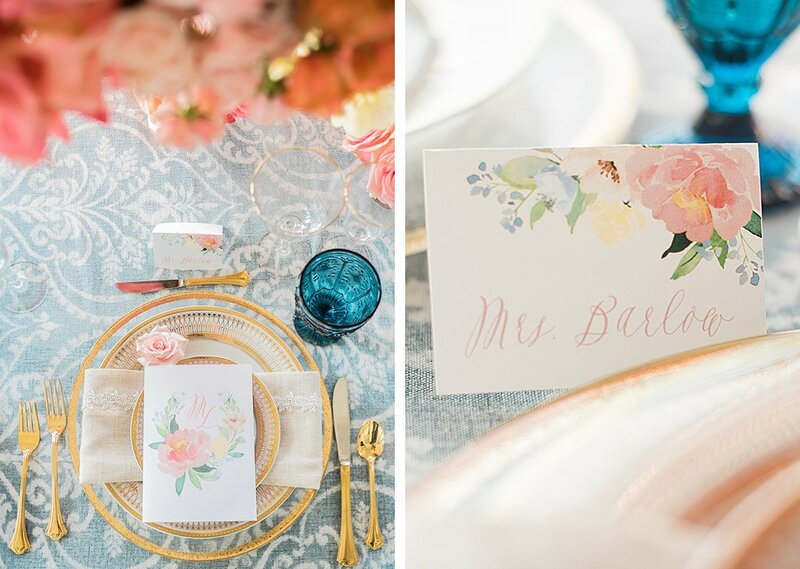 Set in a shade of blue that matched the tabletop, it was lightly brushed for artist effect and adorned with lovely flowers. 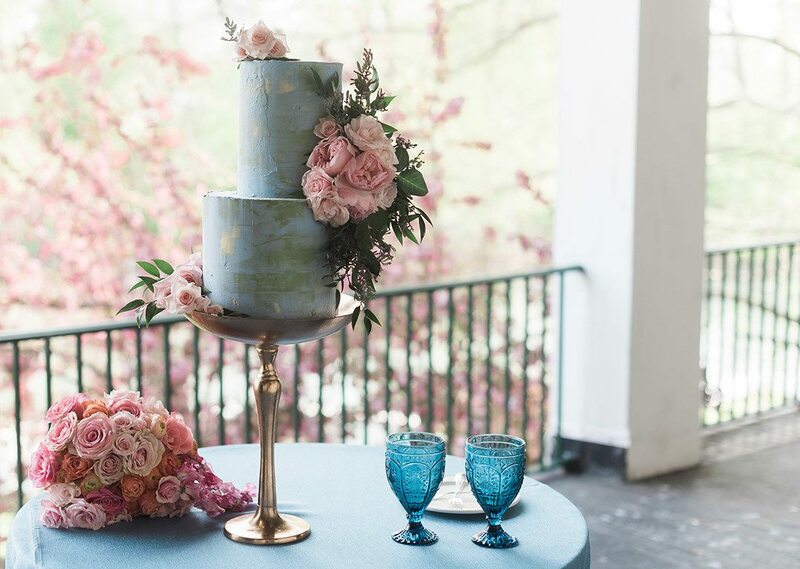 We say, let them eat cake and then some! 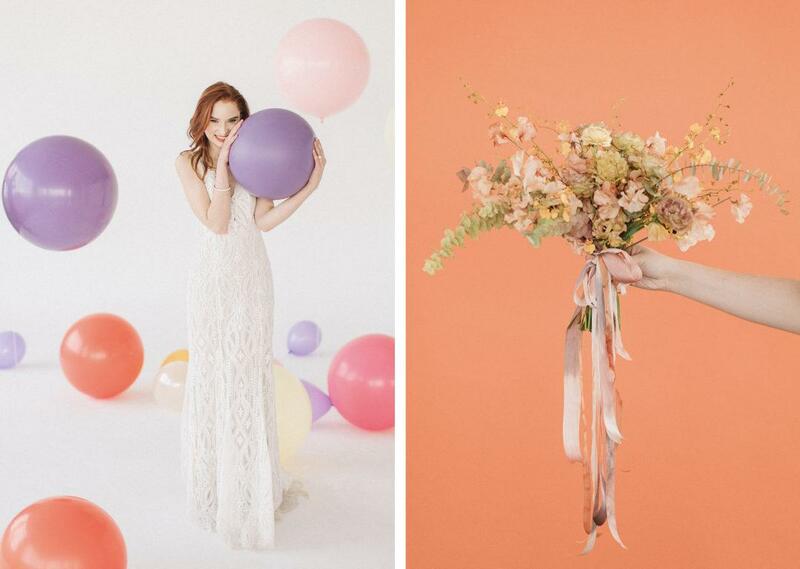 Dreaming up a whimsical scene, Gabrielle Hurwitz styled this playful photoshoot full of bright balloons and modern acrylic accents. 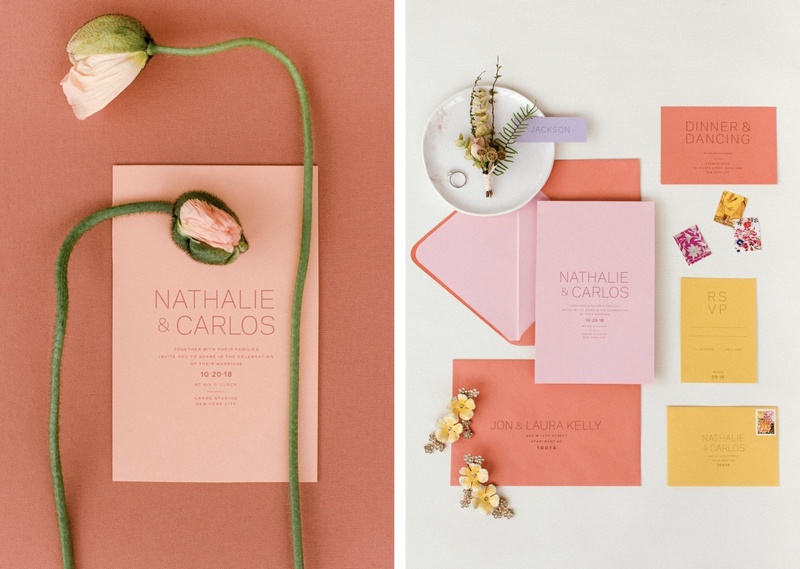 We’re head over heels for the Ipanema Press invitation suite, a collection of coral, pink and ochre yellow paper goods with sans serif font that would make any modern couple swoon. 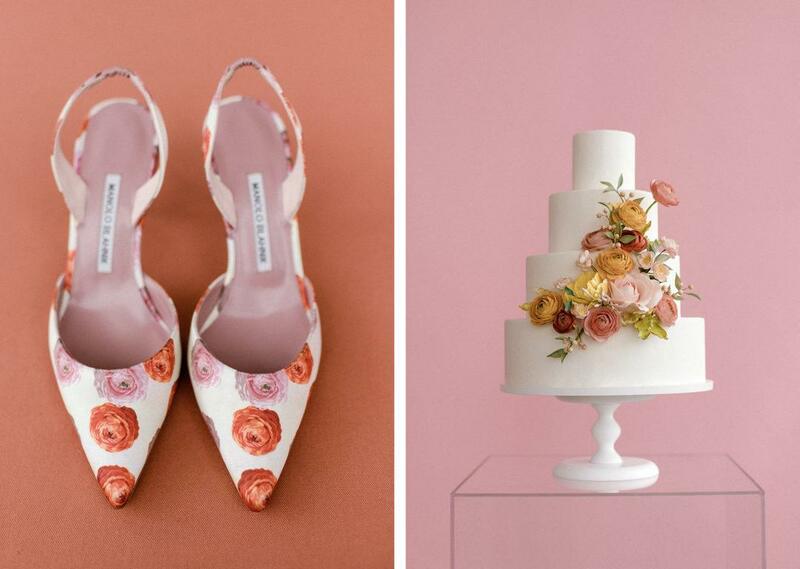 Oh and don’t skip over the stamps – an assortment of pop art florals and fashion graphics for those of us who are extra-detail oriented. 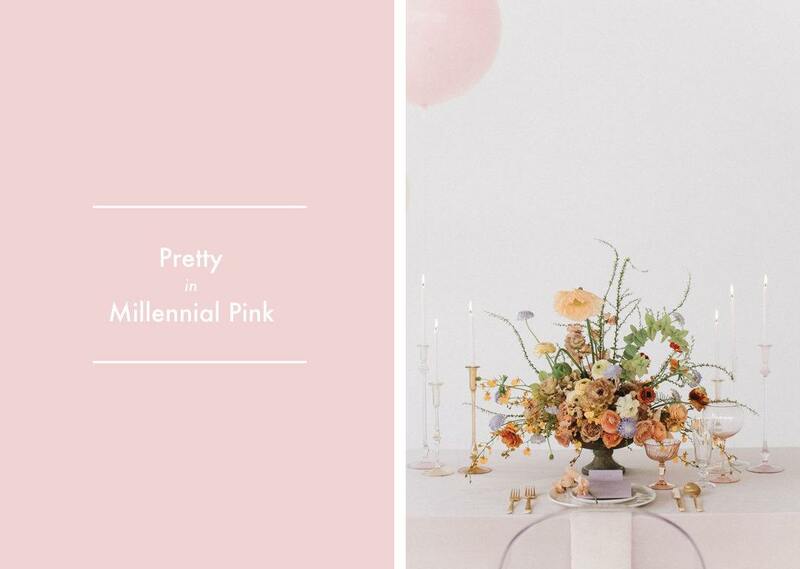 Amongst the fun, our Pink Velluto set the table in what might be our very own perfect shade of Millennial Pink. Much to our great pleasure, a playful arrangement from Pear Tree Flowers brought in shades of lavender and peach alongside lush greenery to bring the tablescape to life. 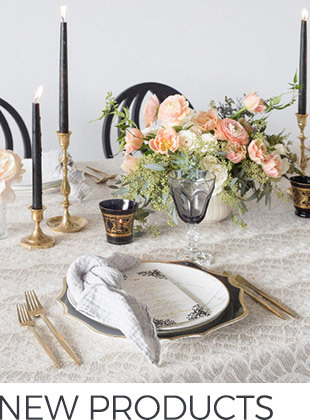 Giving this just the shimmer it needed, tapered candles sat flickering in assorted candlestick holders, mirrored off of pink glassware. 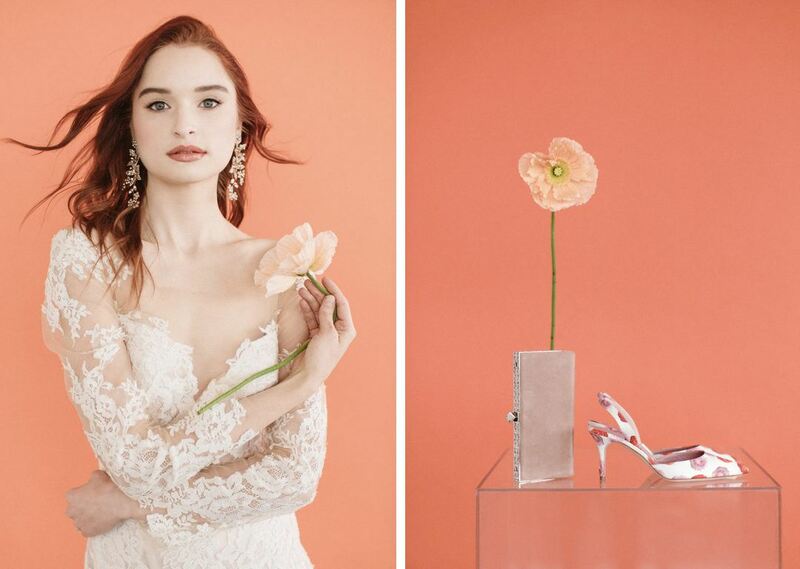 The colorful scene really gave stunning Allure Bridals gowns space to shine. 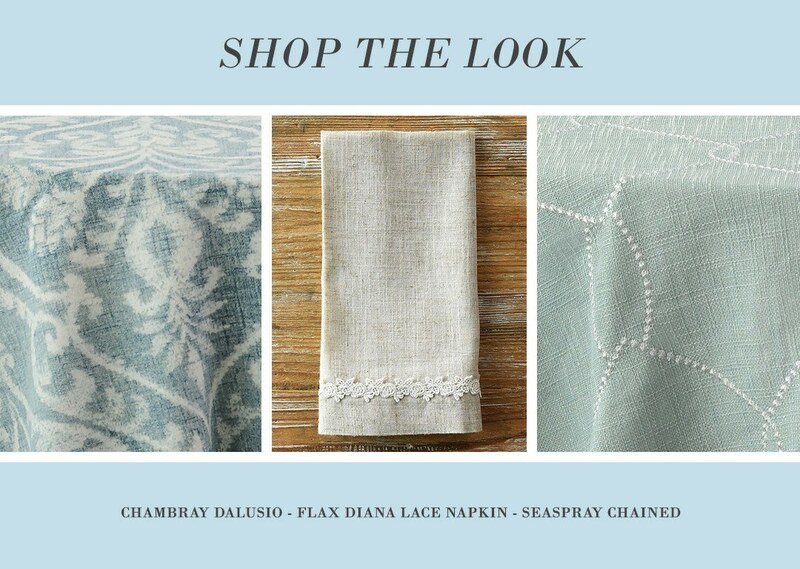 From chiffon to sequins, and the prettiest laces patterns around, they truly stole the show! 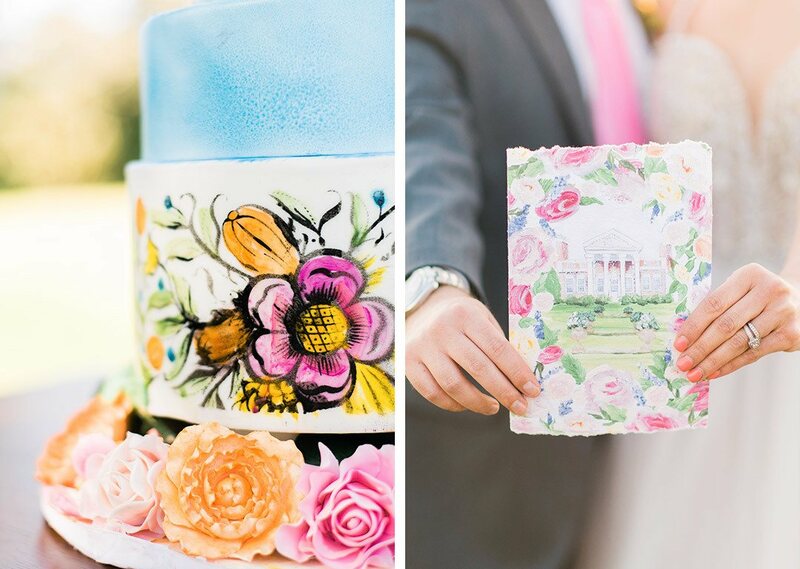 Not to mention graphic floral print Manolo Blahniks that look like they were printed right from this delicious cake from Nine Cakes. Honestly, we’d eat them both!